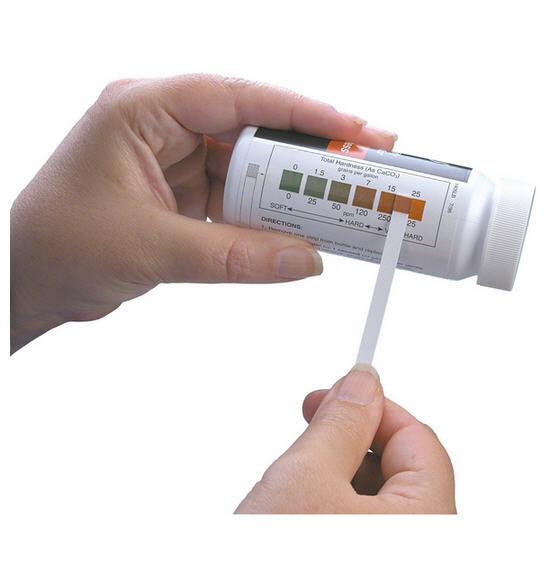 Water hardness is caused almost entirely by calcium and magnesium ions. Other di- and trivalent metals have a similar effect, but usually are not present in high enough concentration in potable waters to cause problems. 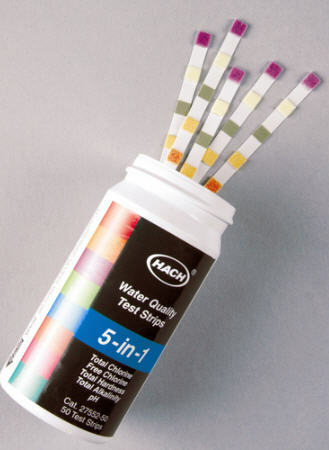 With Hach Water Quality Test Strips, technicians in the field can test many samples in only a few minutes, and make immediate evaluations on-site. No measuring, set-up, clean-up, or chemical handling are necessary. Strips are individually wrapped for maximum portability and stability. Contains 1,000 tests.